A recognized leader in research and development, 3M produces thousands of innovative products for dozens of diverse markets. 3M’s core strength is applying its more than 40 distinct technology platforms – often in combination – to a wide array of customer needs. With $24 billion in sales, 3M employs 75,000 people worldwide and has operations in more than 60 countries. Trademarks of 3M include Post-it, Scotch, Scotchgard, Ultrathon, Thinsulate, Scotch-Brite, Filtrete, Nexcare, Command, Vikuiti. In support of World Blood Donor Day on 14 July, Nexcare will be giving out 10 GIVE PACKS to spread awareness about the importance of blood donation. 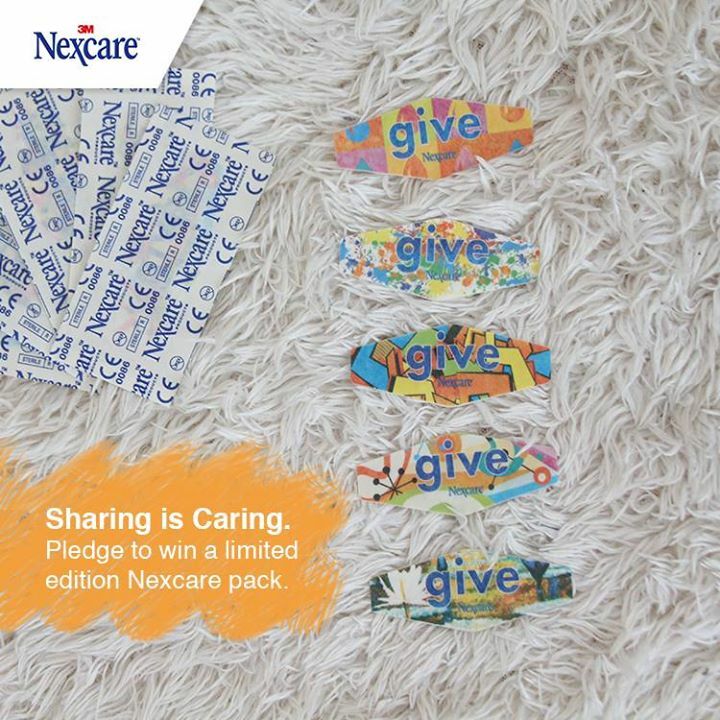 Pledge your support by sharing this post, to stand to win a Nexcare pack. Contest closes on 1 July 2015, 2359. Find out more at Nexcare Singapore Facebook page.